Thoroughly pampered. 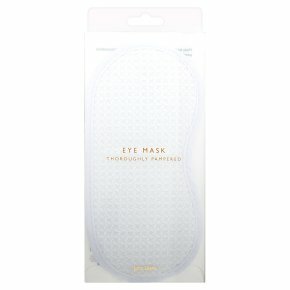 Made from a soft waffle material, you will feel immediately pampered and de-stressed with our eye mask. Washing instructions Hand wash only, do not bleach, do not tumble dry, do not iron.